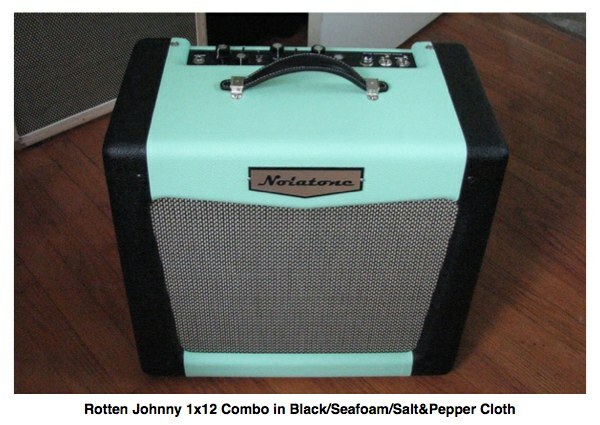 Meet "Rotten Johnny", a little amp with BIG attitude. 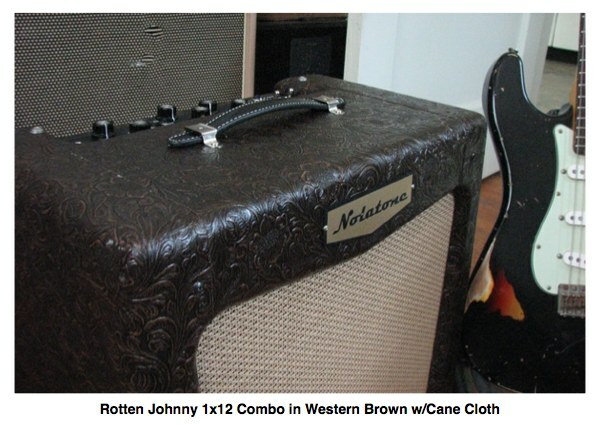 The Rotten Johnny represents one of the finest grab and go amps on the market. Premier Guitar Magazine certain thinks so giving it a Premier Gear award and selecting it as the top 12 gear picks of 2011! UPDATE, Feb 2015: An improved master volume circuit gives improved low volume sound and a more gradual ramp up in volume level. Also A new transformer upgrade is available for the Rotten Johnny. These use more iron, produce a higher plate voltage to juice things up adding more tonal girth, headroom, and overall output volume. More muscle for Johnny increasing output wattage from 12 to about 16 watts! Along the way some Rotten Johnny users have stressed the desire for added clean headroom. Rotten Johnny is a sprited fellow, and if you clean headroom in a lower power amp is important to you, check out the new Club Master. An AMAZING grab and go pedal platform! If you are want the ultimate versatility, choose the "Headroom/Clean Switch" option for $50. This adds an (unlabeled) switch to the front panel to allow you to switch in a setting with less preamp distortion and a smoother top end. Note: As of August 2014, the Rotten Johnny control layout has changed slightly. The "Mid Lift" switch on earlier models has been omitted and it in its place is the three position "Fat" switch. Originally an upgrade, it is now standard. If gain and grind is your thing and you want more compression out of your grab and go Johnny amp, check out the Wicked Johnny which offers more preamp gain than the Rotten Johnny and a more compressed feel. 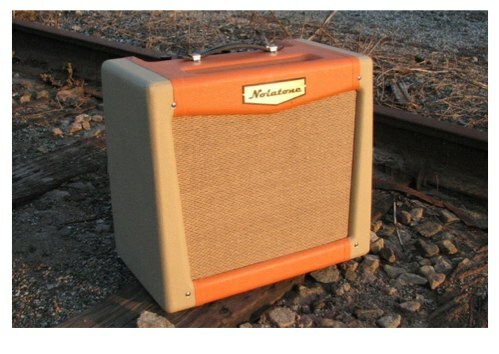 Both Rotten Johnny and Wicked Johnny offer a range of tones from clean to mean, but if you want a wider range of cleaner tones to work from in a grab and go amp that takes pedels nicely, the Rotten Johnny is the way to go. If you tend work more in the crunchy/gain territory, choose the Wicked Johnny. As with the Wicked Johnny, the pre and post gain controls offer great flexibiity in how the amp gains up. The Pre Gain control determines how hard the second stage is driven, and the Post Gain control determines how hard the phase inverter is driven. Manipulate these controls in conjunction with your overdrive/distortion pedal controls to dial up what you want to hear in great detail. The bass control (RJ calls it "Bottom") is a 6 position clicker that sets the bass rolloff. This control is a no load control, keeping the signal pure and maximizing dynamics while allowing control over low frequencies. The Top control is a Vox style cut control wired backwards so when you turn it down, it gets less bright, or turn it up it gets more bright, more intuitive to those who are more accustomed to a traditional treble control. This control is a no load control, keeping the signal pure and maximizing dynamics while allowing control over high frequencies. We use this approach to tone shaping on this amp because it delivers more harmonically rich and complex tones, while at the same time offering much better flexibility for dialing up different tones.